The growth of bulk container packaging market can be attributed to growing commodity trade across the developing and developed region along with the increasing export of food products and pharmaceuticals materials. Also, the rising exploration of dry or free-flowing chemicals and agricultural products worldwide is again expected to support market growth. Further, increasing transportation of oils and other materials in bulk across the globe is also fuelling market growth. As per the latest report added by Value Market Research, the Global Bulk Container Packaging Market was valued USD 3.4 BN (by revenue) in 2018 and is anticipated to reach USD 6.5 BN by 2025 with a CAGR of 9.5%. Flexible intermediate bulk container (FIBC) is dominating the segment since this product is widely adopted in industrial applications for transportation of building materials, polymers, detergents and non-hazardous chemicals in bulk. Therefore, with the growing industrial application along with the rising regulatory norms subjected to environmental concern is expected to offer the highest growth to the segment. The chemical segment is accounted for the largest share in the overall market owing to rising transportation of semi-finishing products, minerals, lubricants, and other chemical materials. Also, favorable government policies and low operational cost have significantly increased the chemical trade in order to meet the rising chemical demand across the globe is further fuelling segment growth. The regional growth is mainly driven by rising export of agricultural products especially in the U.S. Additionally, the region is also involved in exporting the beverages in large volume across the globe is also expected to fuel the industry expansion. AmeriGlobe LLC, B.A.G Corp, Big Bags International Private Limited, Boxon Group, Bulk Handling Australia (BHA), Codefine, Filling & Packing Materials Manufacturing Co.(FIPCO), Flexituff International, Intertape Polymer Group, Jumbo Bag Corporation, Syn-Tex Bag and United Bags, Inc.
As per this study, the Global Bulk Container Packaging Market was valued USD 3.4 BN (by revenue) in 2018 and is anticipated to reach USD 6.5 BN by 2025 with a CAGR of 9.5%. Bulk container packaging refers to the products used to store & transport the outcomes from food and beverage, pharmaceutical, chemical and other industries. It is used to store and transport large volume and quantity of goods. Mainly used bulk container solutions are flexitanks, bulk container liner, and intermediate bulk containers. Growing demand for storage and transportation of food products and non-hazardous chemicals is driving the major market growth. Increasing demand for bulk container packaging owing to high operational efficiency at a lower cost is again fueling the market growth. However, volatile freight rates and trade traffic are the major factors restraining market growth. This detailed market study is centered on the data obtained from multiple sources and is analyzed using numerous tools including porter’s five forces analysis, market attractiveness analysis and value chain analysis. These tools are employed to gain insights of the potential value of the market facilitating the business strategists with the latest growth opportunities. Additionally, these tools also provide a detailed analysis of each application/product segment in the global market of bulk container packaging. The broad bulk container packaging market has been sub-grouped into product and application. The report studies these subsets with respect to the geographical segmentation. The strategists can gain a detailed insight and devise appropriate strategies to target specific market. This detail will lead to a focused approach leading to identification of better opportunities. 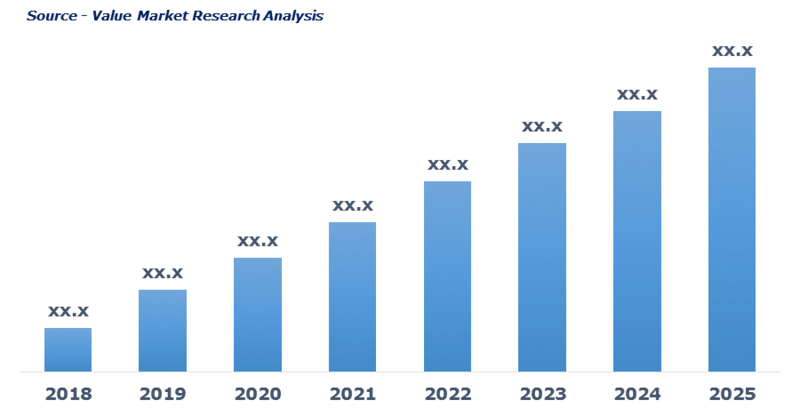 Furthermore, the report comprises of the geographical segmentation, which mainly focuses on current and forecast demand for bulk container packaging in North America, Europe, Asia Pacific, Latin America, and Middle East & Africa. The report further focuses on demand for individual application segments in all the regions. The report also covers detailed competitive landscape including company profiles of key players operating in the global market. The key players in the bulk container packaging market includes Company AmeriGlobe LLC, B.A.G Corp, Big Bags International Private Limited, Boxon Group, Bulk Handling Australia (BHA), Codefine, Filling & Packing Materials Manufacturing Co.(FIPCO), Flexituff International, Intertape Polymer Group, Jumbo Bag Corporation, Syn-Tex Bag and United Bags, Inc. An in-depth view of the competitive outlook includes future capacities, key mergers & acquisitions, financial overview, partnerships, collaborations, new product launches, new product developments and other developments with information in terms of H.Q.